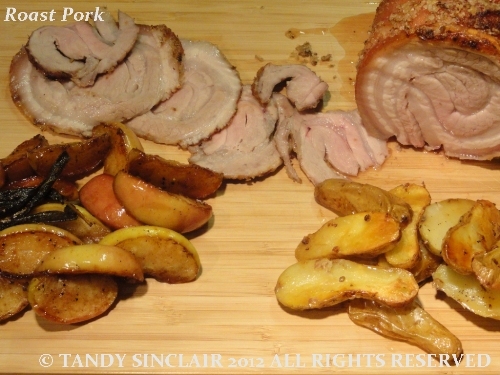 I love making roasts, and roast pork is a firm favourite in our house. does the United Kingdom want tourists? how do I get an EU passport? First, I had to complete the application forms on line – one for Dave and one for me. The questions asked included where our parents were born and details of David’s children. We had to provide detailed information where we had traveled to in the past 10 years as well as providing detailed information about ourselves. Once the forms were completed we had to print them and then pay R998 each via credit card online for the application. Then we had to make an appointment – I thought I was lucky that three days after I made Dave’s appointment, I could get one at the same time. Little did I know what the word ‘appointment’ meant. I then had to collate documents for both of our visa application forms, including 6 months bank statements, a letter from our employer (read self) saying we are coming back to work, and our marriage certificate – the same piece of paper needed in duplicate – one for Dave and one for me. We had to provide the usual proof of ticket, accommodation and residence. If you rent, be advised they will need a copy of your lease agreement. Further they needed proof of funds to support ourselves while there. Where I can understand them needing all of this, what I cannot understand is why they need one copy for Dave’s application and one for mine. When we go to Europe we apply on separate forms, but together so they only need one set of each piece of paper. are you here to apply for a visa? now, please turn off your phone and get scanned and let me peer into your bag before we let you into the office. Now we take a number – I wait for Dave again and thankfully we are allowed to have the same number! We get number 53 and they are on number 39 when we walk in. Some young kid who probably would not get a visa were he being seen by the British High Commission is fumbling his way through his appointment. Then, another gentleman admits to not actually having a residential address – but the VFS staff member is not a decision maker, he is just a form collator. what is your name in full? EACH! So, one envelope, two charges. Thankfully I know from using VFS for my Australian visa (the first two) I can use their on line tracking system – no need to spend R40. And even though the return trip is 130km and the parking will cost me R8 I would rather fetch my passport – even knowing I will have to go through the same tedious questions and pick a number and wait AGAIN! But, we are not yet done. Back into the queue for the biometric data collection. Finger prints, thumb prints and eyes scanned. Finally it is 12h10 and we are leaving Cape Town. I used the tracking system to follow our passport from the VFS office in Cape Town to the British Consul in Pretoria and back – the entire process took 3 days. I wonder how closely our forms were scrutinized? Then, the Monday after our appointment, Dave went to collect our passports – we were granted a Visa and all our supporting documents were returned. On days like this, when my patience is being tested, I prefer to put a roast into the oven. The meat can do its own thing, while I unwind and relax, with a glass of wine. I adore roast pork! And it’s true, some countries make it very complicated to visit them! Scotland was so fun. And you know people were really nice. Great recipe too. A nice bottle of wine and your lovely pork roast would sooth my body but my mind would still be crazy from that experience. I know that all that unpleasantness will be forgotten in beautiful Scotland. I don’t know how you did it Tandy, but you made an absolutely wonderful roast pork. I wish I could have some right now. I mean I’m really hungry lol. I hope it all ends well! Good luck! I know you will love Scotalnd a lot! I have been there a couple of times & the nature, the wonderful views, sceneries, people, monuments, museums are all great & fab! I love Scotland! 🙂 Can you tell? Hi Tandy! Where are you from? I notice you referred to your currency as “R”. Wow. That does seem quite intimidating! I already fly to panic whenever I go down to the states! One time I bought so much groceries back (butter and milk and cream cheese etc) that upon returning, they asked me if I was trying to make pot brownies.. lol. Anyway, Happy Easter Tandy!! Great looking roast pork!!! Well, I am sure you will enjoy the trip to Scotland and that it would be worth the trouble! I love pork belly! Enjoy the long weekend! Ooooph what a fuss! Lets hope the holiday is a fabulous one!!! I am stunned – really didn´t realise it was so complicated. Have things changed then since your last uK trip? How bizarre. Do hope the trpi lives up to the expectation. I know the pork did as it looks wonderful! What a royal pain Tandy – thankfully when we went to the UK, none of this nonsense was a requirement! It was even worse trying to apply for a residency permit when we lived in Mauritius – not something I could envisage going through again. That’s unbelievable! That’s the sort of process that I went through when I got my Indefinite Leave to Remain in the UK, but for a tourist visa it seems over the top. It is just so much bureaucratic nonsense! Tandy what a pain!… and that’s all just for a holiday visa? You’re not trying to live there? Imagine how much more paper work there would be if you wanted to do that. Probably if you have enough money they will just give you a passport! Waha! That is the best lead in to why a roast pork that I have ever seen. Shocker though. Reminds me of my own UK visa experiences when applying here in SA. Whether your country of citizenship counts or not depends entirely on who is on the counter that day and if they got lucky last night (or not). Nasty stuff. Visas are quite the mission to get these days! At least now its sorted and you can get ready for your holiday! The Roast looks most delishious!! 🙂 Have a great Easter Weekend!